Mother’s Day has just passed, and my dear Ma’s birthday was a few days later, so I created a celebratory dessert that was composed of a few of her favourite things. 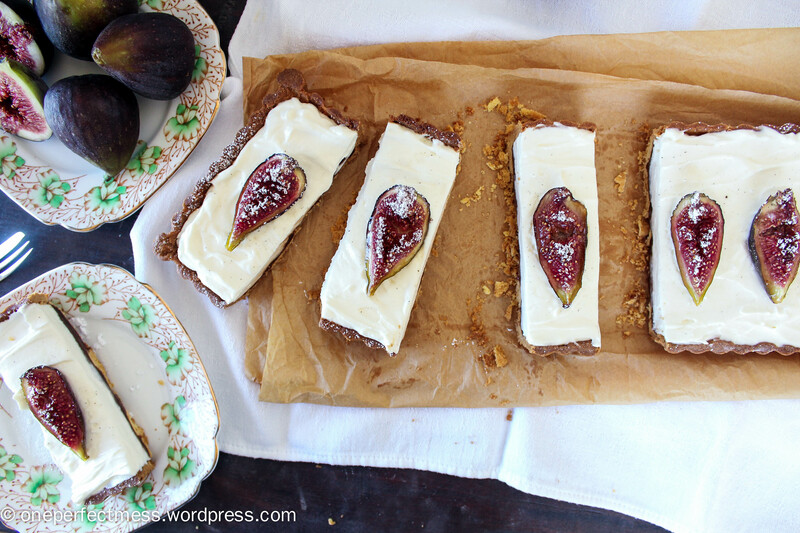 Remember those extra figs I froze when I made my Honey Roasted Fig, Dark Chocolate and Mascarpone Tart? I couldn’t ignore them anymore, so out they came and the result was this creamy, fragrant, frankly irresistible cheesecake. If you truly love me, you’ll make me a cheesecake. That’s really my only ask. I’m very easy to please and I’ll think you’re the bee’s knees forever and ever. 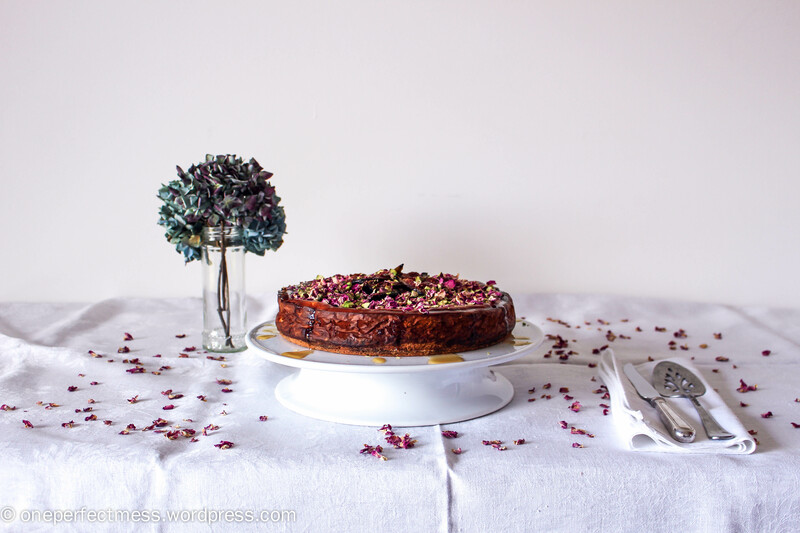 This one is a particularly special cheesecake; a slightly salty almond and pistachio base sets the stage, goats curd offsets the rich cream cheese and gives the filling a soft, crumbly texture, and a baklava-inspired honey, lemon and rosewater syrup drizzled over roasted figs, pistachios and rose petals leaves you sobbing with confusion when you realise you ate your slice before you could truly appreciate what was happening.